We love this soup! Quick and full of flavor, loaded with vegetables yet rich enough to call it dinner. 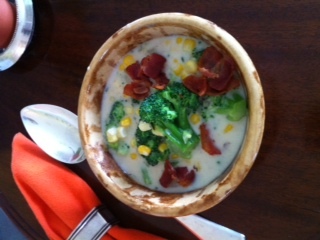 This entry was posted in Recipes and tagged Bacon, Broccoli, Frozen Corn, Winter Soup. Bookmark the permalink.